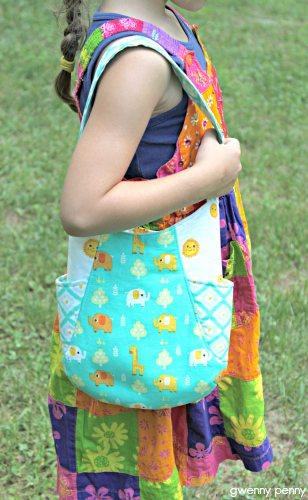 Back in February I shared the smaller version of the Noodlehead 241 tote that I made for my youngest. When my oldest's 6th birthday rolled around in June, she asked me to make one for her, too. Just like last time, I let my daughter choose the fabrics, with a little guidance :) It turned out really cute. 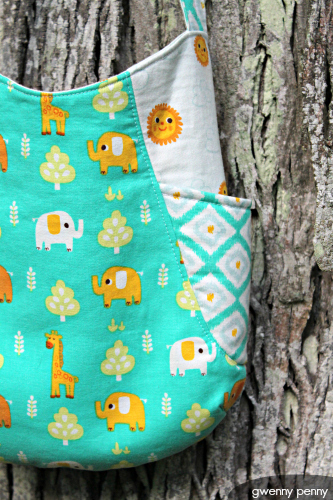 The fabric is from the Happy Jungle collection by Allison Cole for Camelot Cottons. I stuck with shrinking the pattern to 75% and then sized the strap to fit my daughter. And I once again skipped the magnetic snap closure and interior pockets. Keep it simple. 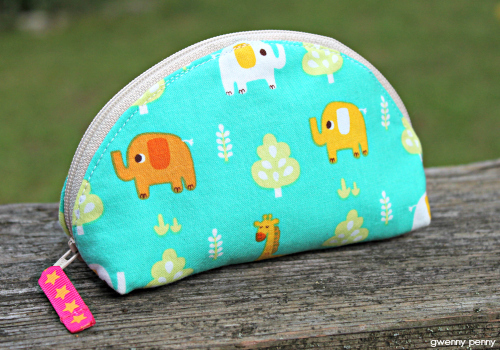 I also sewed up a Michelle Patterns dumpling pouch to match. Ack! This is so cute! I JUST made another dumpling this morning before breakfast!!! This is my 14th!!! I made one for each of my 12 stamp club members last year for Christmas...they were a great hit, too, so TFS! The tote turned out amazing, perfect size for her. I must try one of those dumpling pouches, I just looked at the link and the construction is so clever. Adorable! I love tge mini size, and the fabric was a perfect choice. 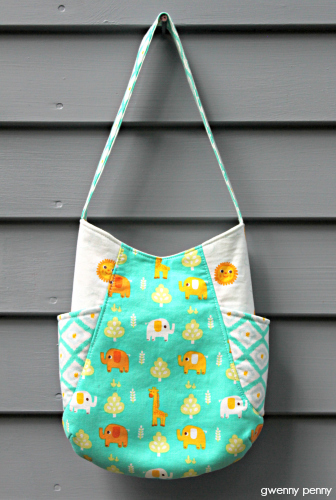 I don't think it's a rut when you find a pattern you like and it turns out so well! that is so so cute gwen!!! seriously, cutest ever, if my girls saw this it would be non-stop asking until it was made. :) such great colors and with the pouch, what a fun set! They look great! This pattern is so nice..! I also made one you four!!! Thanks for the link to the pouch tutorial. 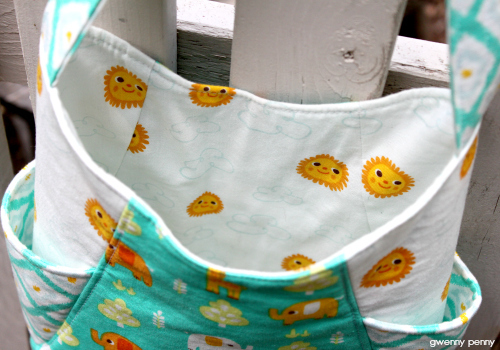 I love that pouch and I love the fabric you used.